Do you ever find yourself giving your students the same piece of feedback over and over again? 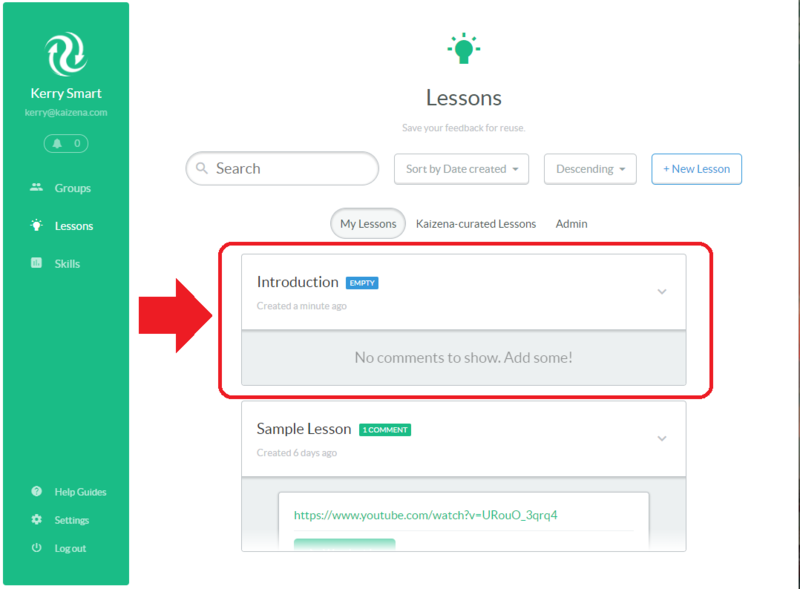 Lessons let you save your feedback, so you can quickly add a link, text or voice comment to a Doc. 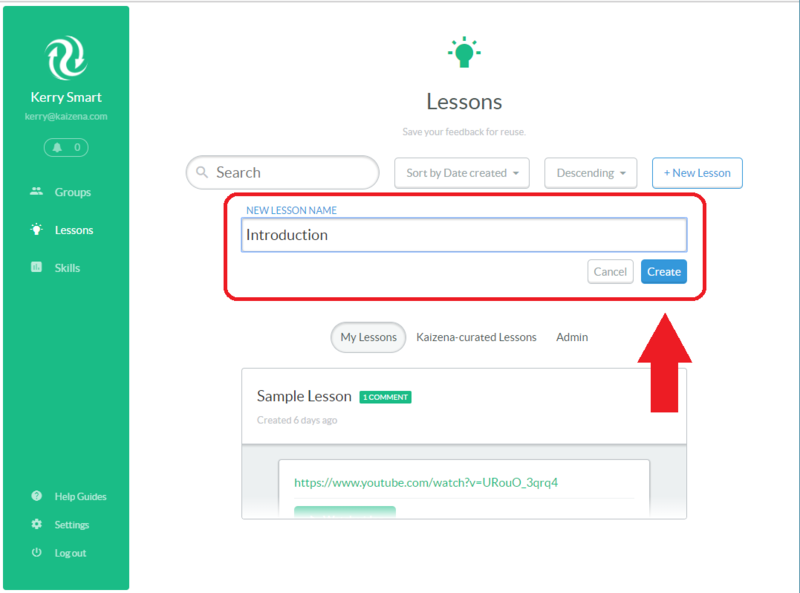 You can create your own Lessons, or use Kaizena's Curated Lessons. This will take to to your Lessons page. 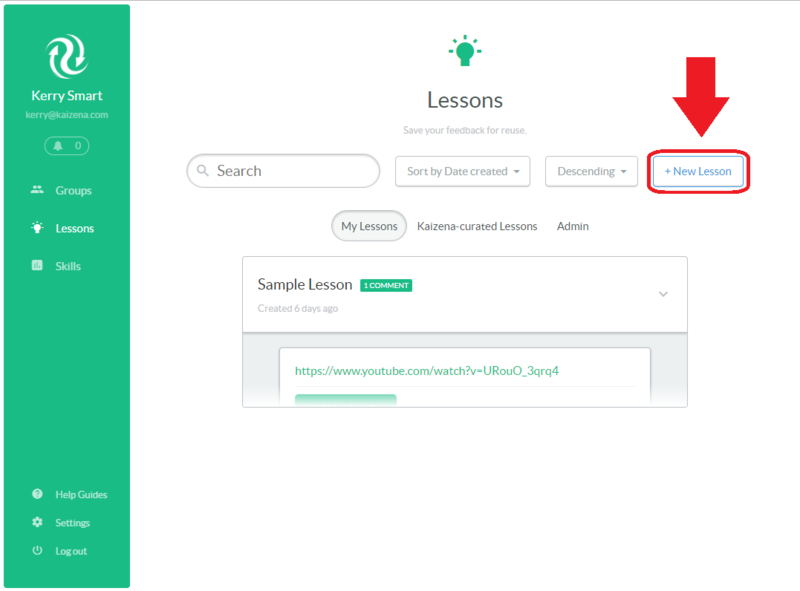 You'll see a sample Lesson, and any other Lessons you've created. 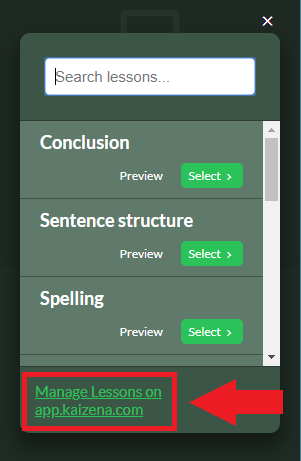 Next, enter the title of the Lesson. 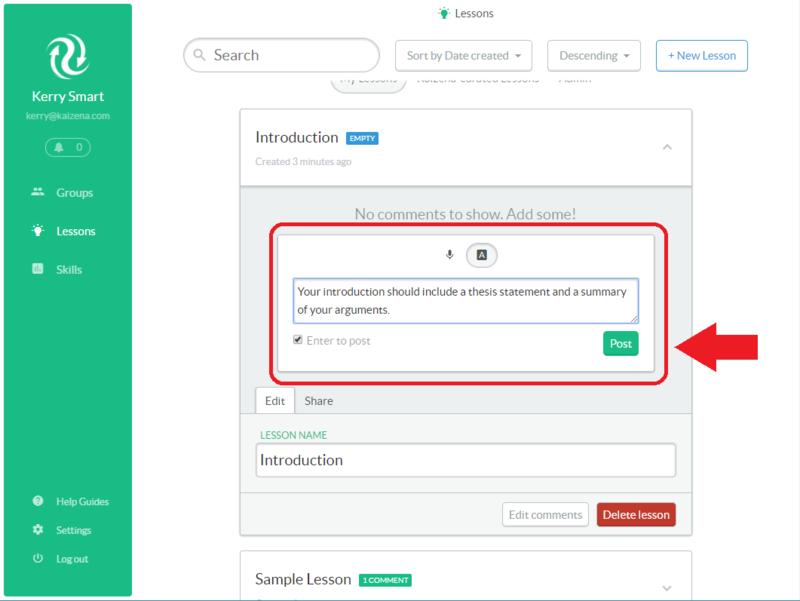 You'll find the Lesson using the title, and the title isn't visible to students, so don't be afraid to be descriptive! Some teachers include the subject or class in their Lesson Titles, eg "English - Comma Splice." 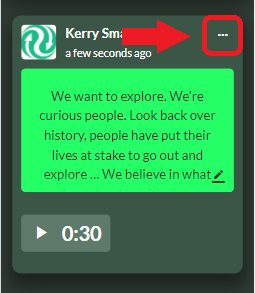 You can add text comments (including links) or voice comments to Lessons. 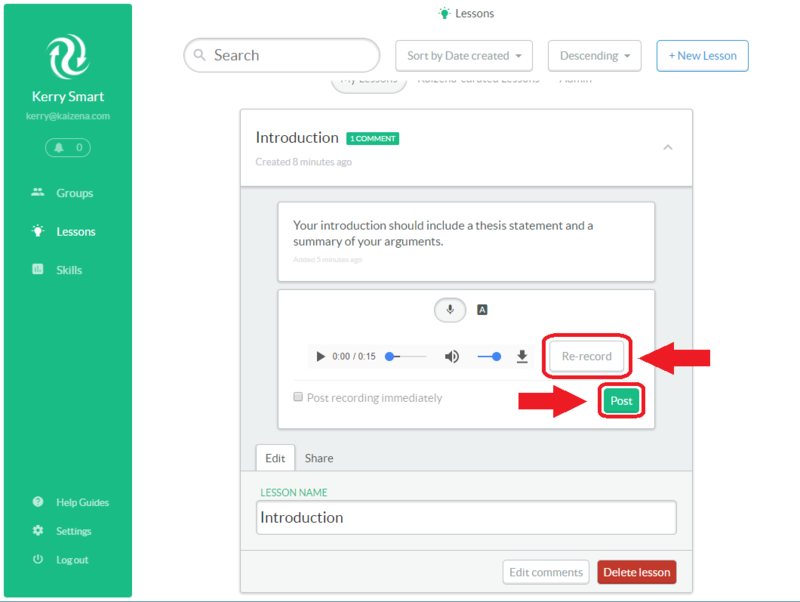 You can add as many comments to the lesson as you want. 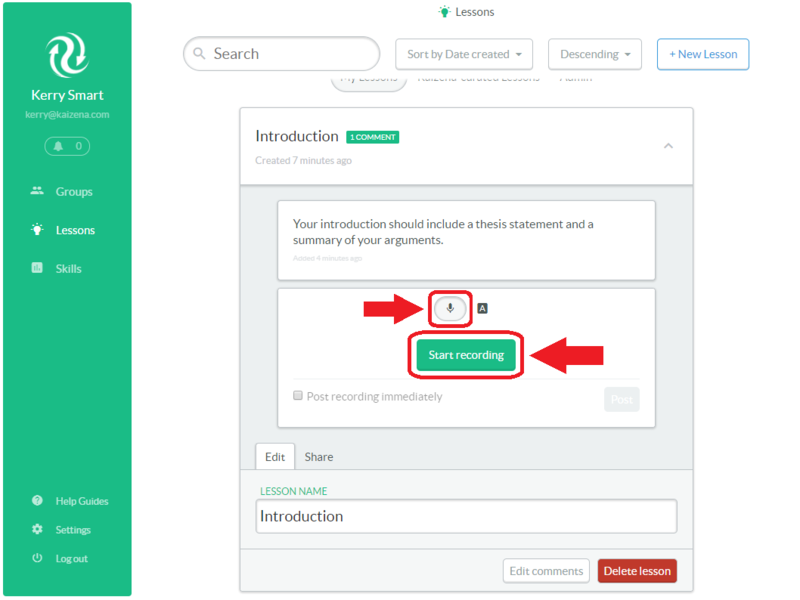 When you're satisfied with the lesson you've created, see how to use the Lesson in the add-on. 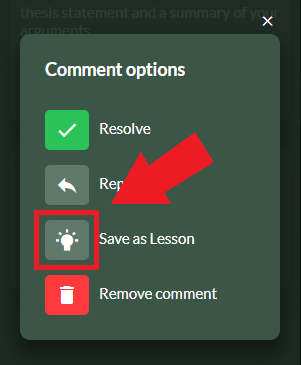 You can also save a comment you've already made as a Lesson. 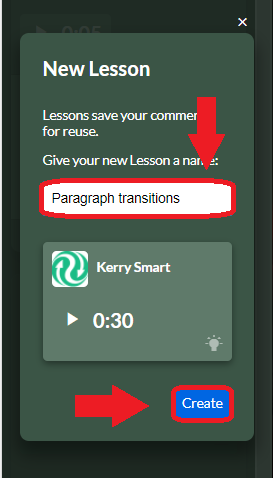 If you want to add additional comments to your Lesson, you can edit it on your Lessons page. 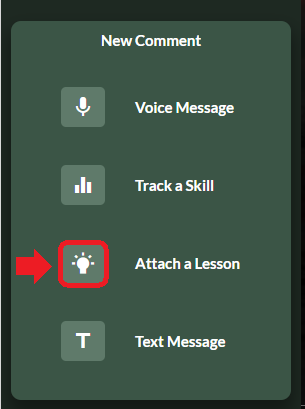 Next, see how you use your Lessons in the add-on.